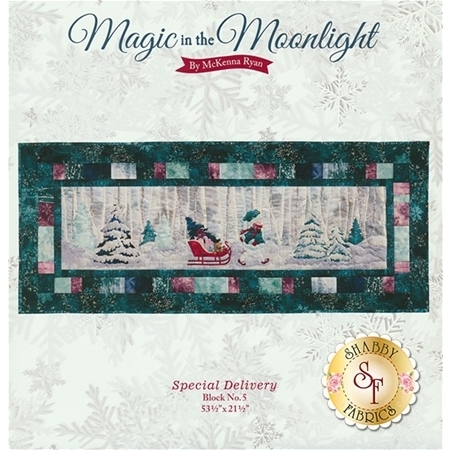 Magic In The Moonlight - Special Delivery is the Block 5 applique pattern of the Magic In The Moonlight quilt by McKenna Ryan. 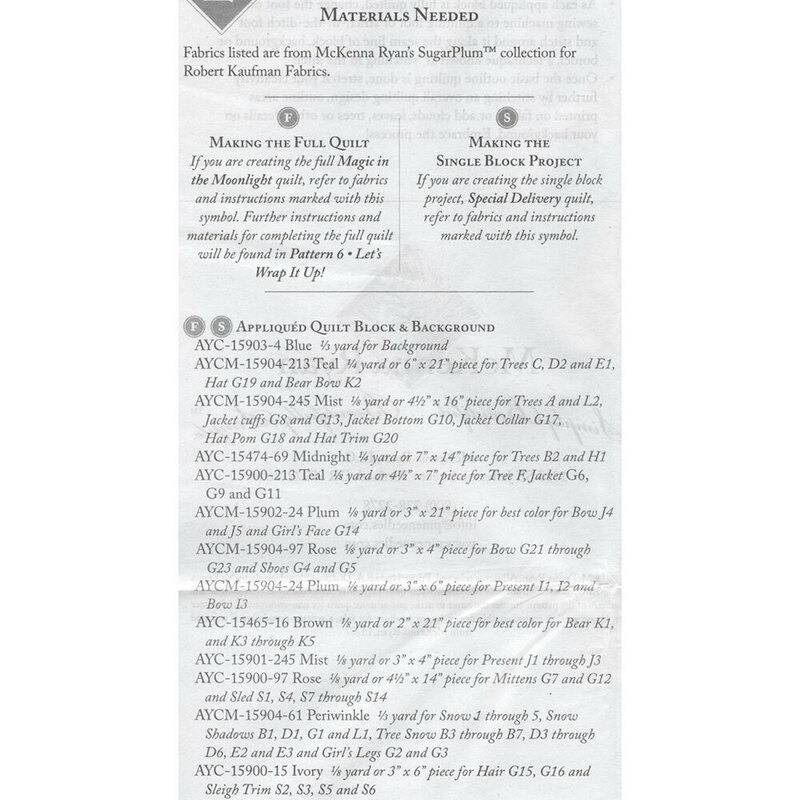 This pattern includes all instructions to complete Block 5 of the quilt. Finished quilt block measures 53½" x 21½". 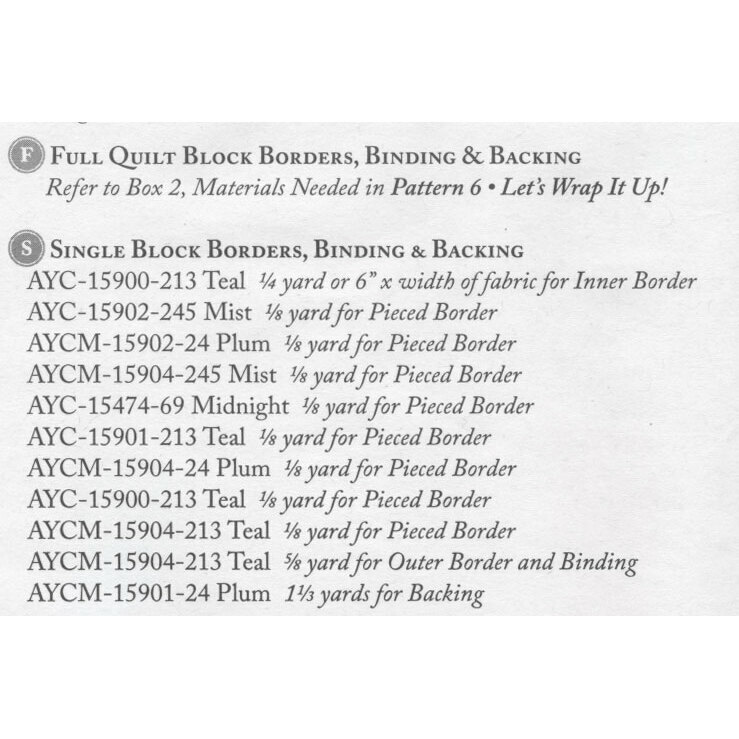 Add the Special Delivery embellishing kit below to finish this block!